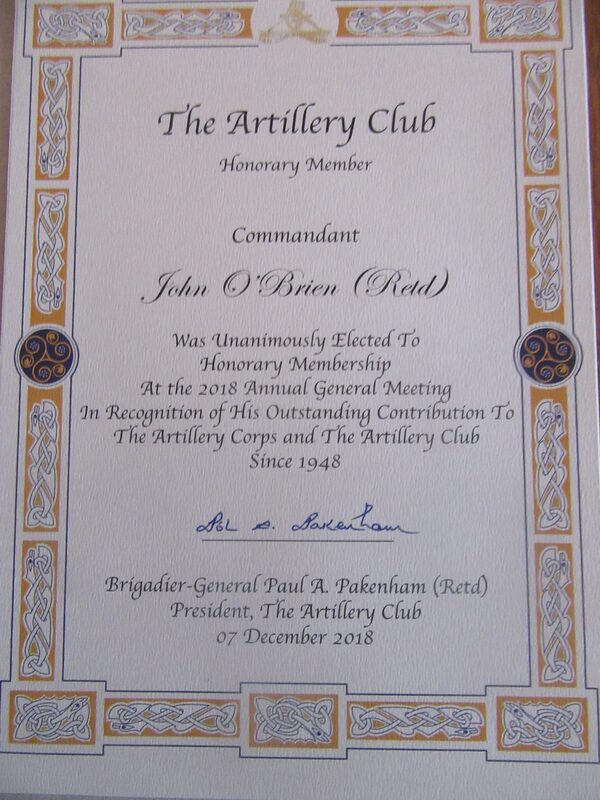 During the 2018 Annual General Meeting held in McKee Barracks Dublin, on Friday 07 December, Lieutenant-Colonel Jim Dawson (Retd) and Commandant John O’Brien (Retd) were unanimously elected as Honorary Members of the Artillery Club. 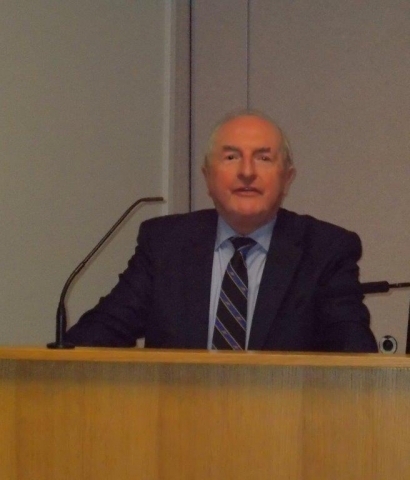 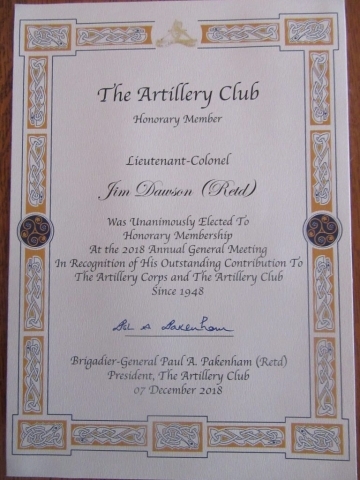 Arising from Paragraph 8 of the Club’s Rules, on 27 September, the Committee considered the election at the 2018 AGM of ordinary members to the honorary membership. 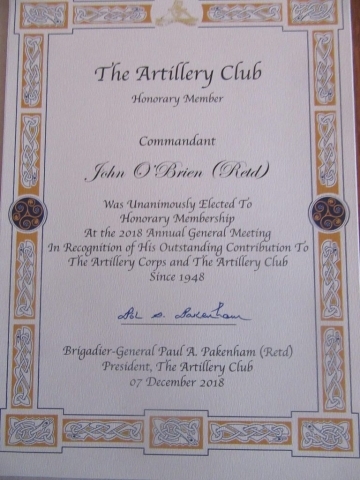 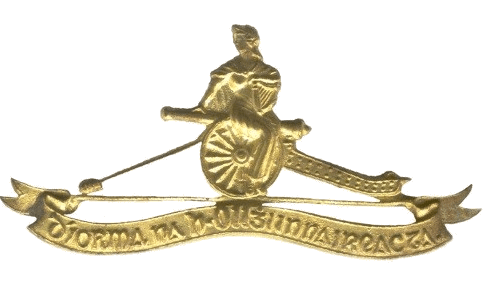 Having merited the provision of “exceptional circumstances” under the parameter of length of active service to the Artillery Club, on the proposal of the President and seconded by Capt Peter Murray (Retd), the Committee authorised the President to invite Lt Col Jim Dawson (Retd) and Comdt John O’Brian (Retd) to become honorary members of the Artillery Club. 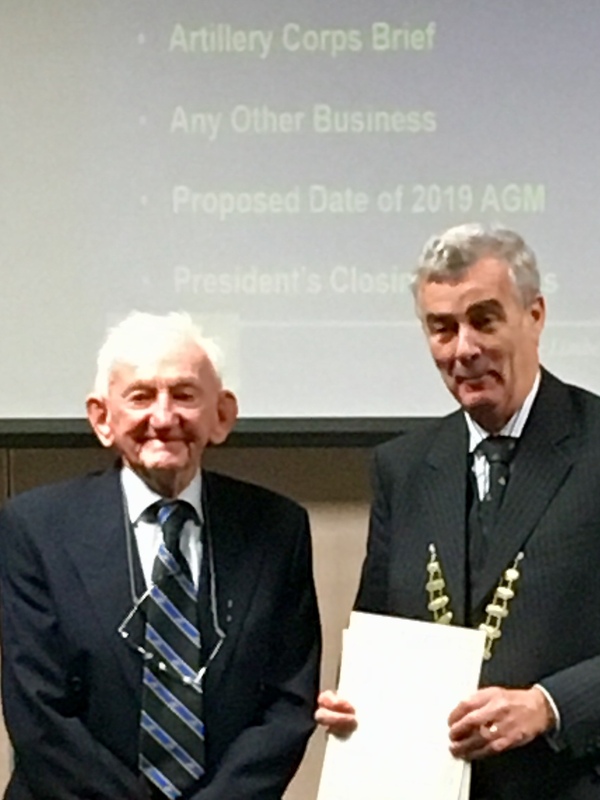 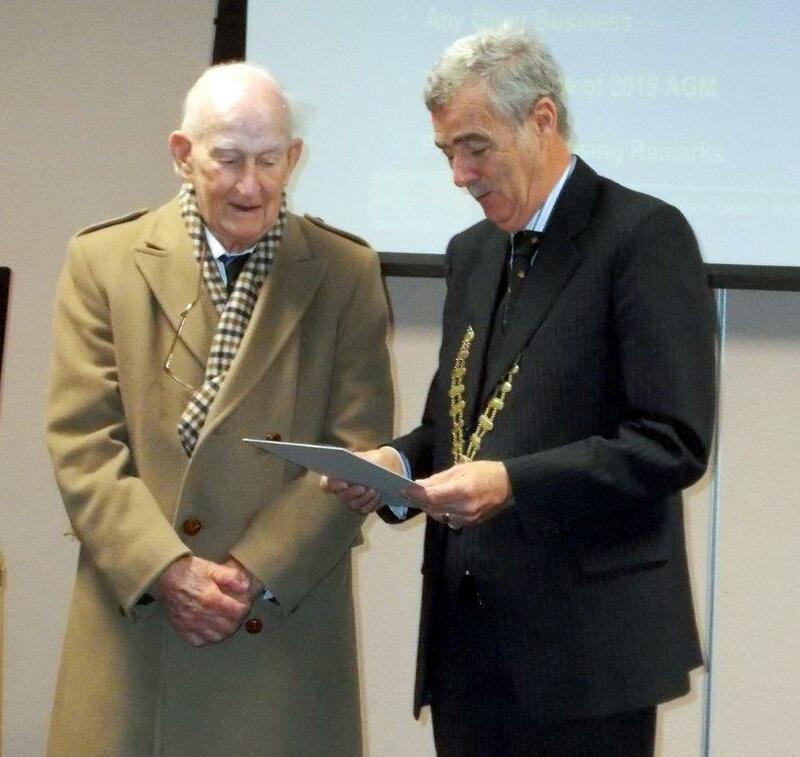 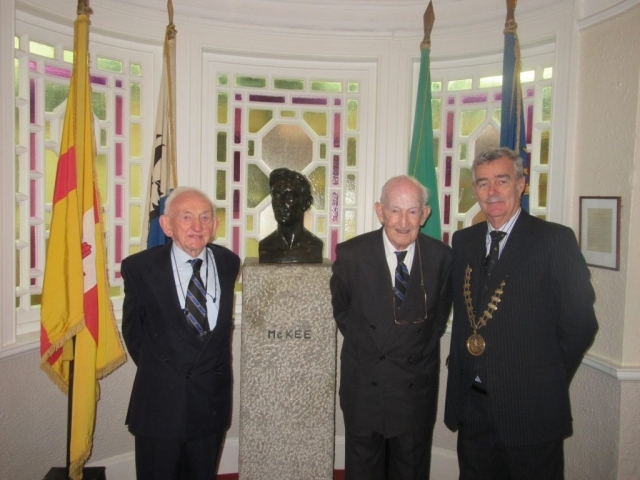 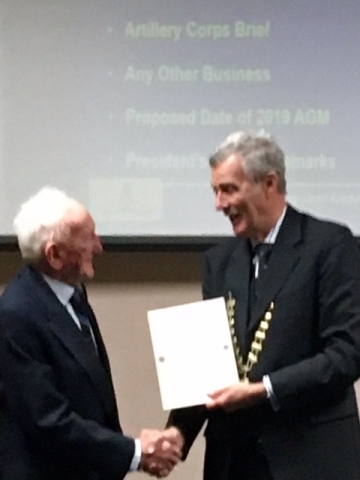 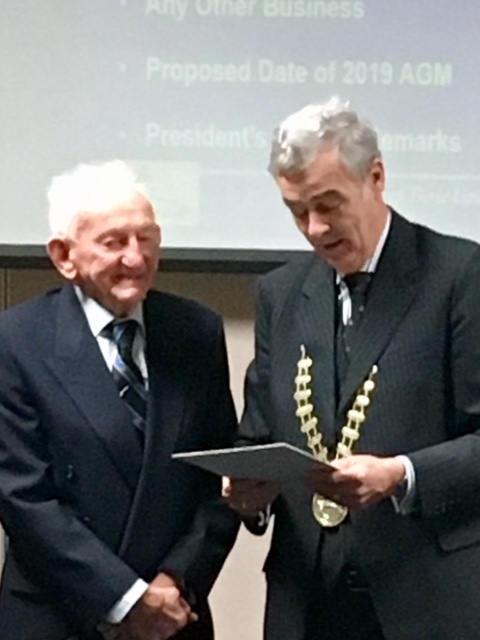 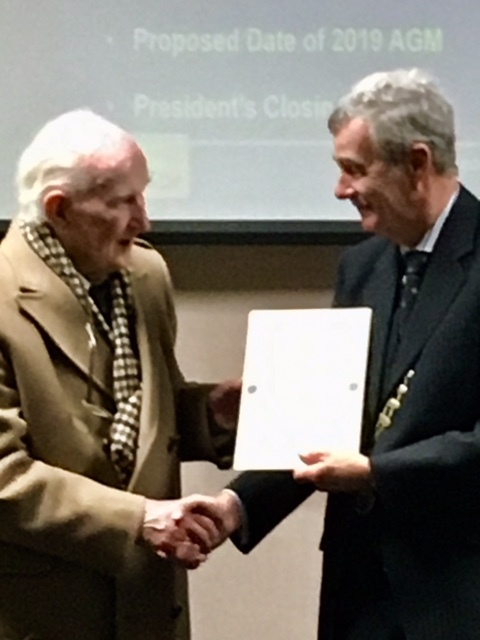 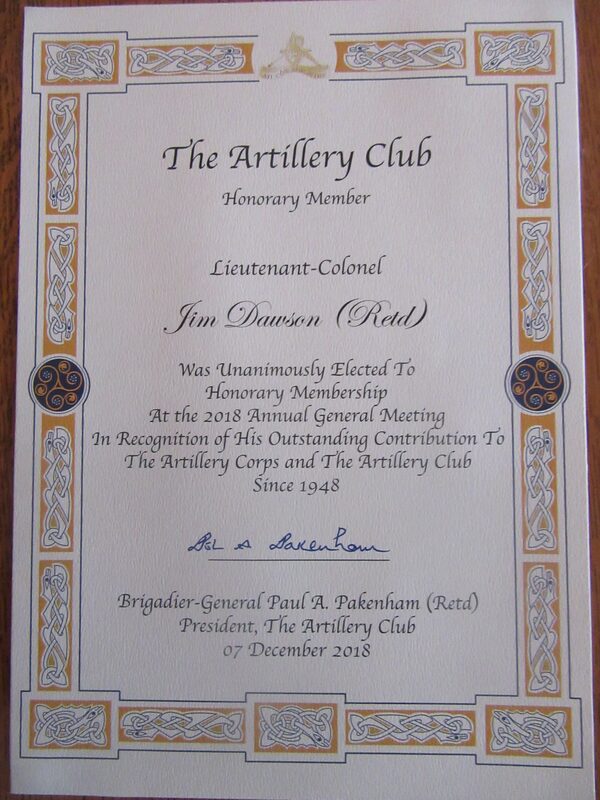 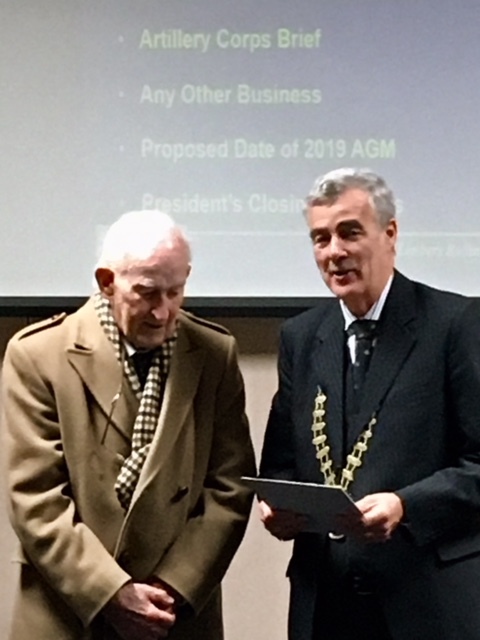 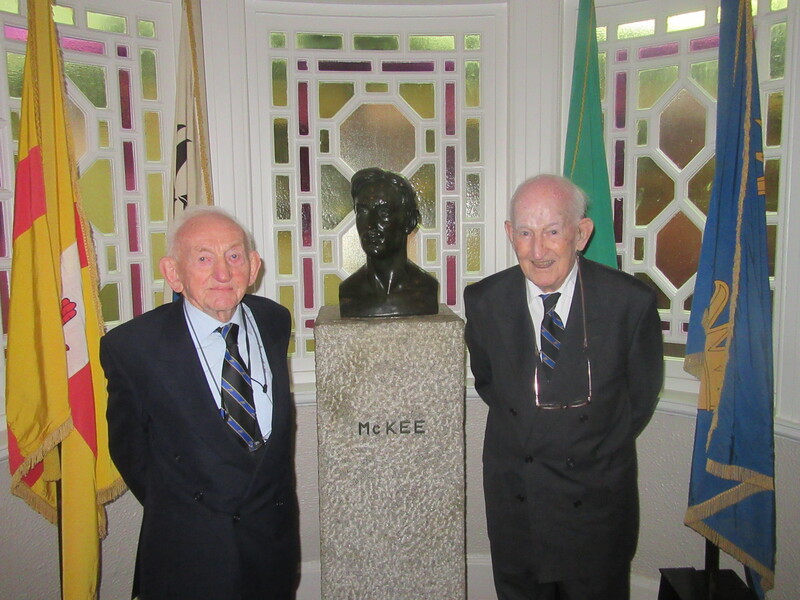 As President of the Artillery Club, Brigadier-General Paul Pakenham (Retd) proposed Lieutenant-Colonel Jim Dawson (Retd) to Honorary Membership of the Club, Lieutenant-Colonel Cormas Lalor (Retd) seconded the proposal. 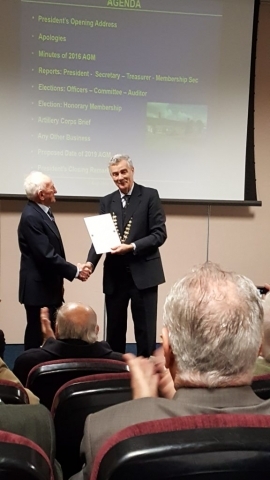 Both officers were unanimously elected. Photographs from the Annual General Meeting and the St Barbara’s Lunch can also be viewed in separate albums..
Click on photographs for slide show.